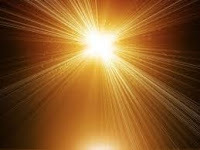 Having mentioned the subject of light, in an essay on bliss recently, (1) I wanted to look into what our sources say about its nature and role in Ascension. In order to provide as much literature to the newly-awakened on important subjects as possible, I again use the question-and-answer format. Our most prolific source on the question is Matthew Ward. SaLuSa, Archangel Michael, Hilarion and a few others add to our understanding. What is the relationship between light and God? Where do the waves of Light striking the Earth come from? 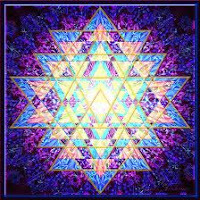 We have told you that the Supreme Creator has begun to emanate the rarified Love/Light Essence from the heart core of Its Being (Adamantine Particles of Pure Divine Light substance). This Essence contains all the facets of Creation, which include the Seed thoughts, energy components, and grand designs for never-before-experienced new creations. Within these wondrous multiple beams of Creator Light are newly-activated, black-spectrum Rays of pure unmanifested potential. How does that Light come into this universe? When it comes from Source, do we get it in its fulness? What is Light to souls? When we feel light hearted, where’s the light coming from that we feel? What’s the relationship between light and love? How does the Light affect the Earth (Gaia)? Matthew: Love … is what light beings throughout this universe have been beaming with intensity to Earth for more than seven decades. 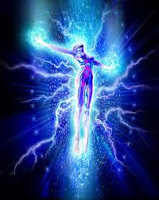 The initial infusion of light saved her life and gave her the strength she needed to jar loose from deep third density and start on her ascension course. What role do humans play in Earth’s ascending process? Tomorrow we’ll look the place Light plays in our Ascension process. (1) “The Impact of Bliss on Knowing,” Dec. 18, 2015, at http://goldenageofgaia.com/?p=270400. (3) Matthew’s Message, Aug 3, 2014, at http://www.matthewbooks.com/mattsmessage.htm. (5) “Archangel Michael: Are You Ready to Embody Your Sacred Fire Energy?” Channelled through Ronna Herman, November 29, 2013, at: http://www.ronnastar.com/messages-aam/latest.html. (6) Matthew’s Message, Aug 3, 2014. (7) Ibid., Dec. 10, 2015. (8) “Archangel Michael: The Time of Inertia has Ended; It is a Time to be Busy,” Jan. 11, 2014, at http://goldenageofgaia.com/2015/01/11/archangel-michael-the-time-of-inertia-has-ended-it-is-a-time-to-be-busy/. (9) Archangel Michael, “Passport to Ascension,” May 2009, through Ronna Herman, at http://www.crystalwind.ca/angelic-paths/heaven-speaks/archangel-michael/aa-michaels-may-message-passport-to-ascension. (15) Ibid., Jan. 4, 2006. (16) Ibid., Dec. 29, 2012. (18) Ibid., Oct. 21, 2012. 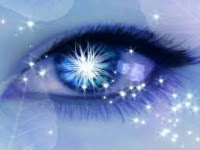 (19) “The Arcturians and Symptoms of Transformation,” channeled by Suzanne Lie, February 26, 2013, at http://suzanneliephd.blogspot.co.uk/. 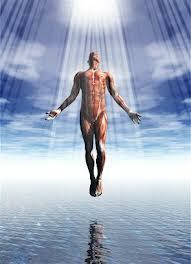 We continue with a brief look at the role the Light plays in our Ascension. How is Light related to our Ascension? How does light cause us to ascend? Matthew: There is no seat of judgment or arbitrary selection of which humans can ascend and which cannot – it is strictly a matter of science and souls’ own choices. Light changes third density’s carbon-based cellular structure to the crystalline form that lets bodies survive in the higher frequencies, or vibrations, of fourth density and beyond. What do you mean by “godly ways”? Tomorrow we’ll look at how the dark affected our DNA and what their fate will be. (1) SaLuSa, October 20, 2008, at http://www.treeofthegoldenlight.com/First_Contact/Channeled_Messages_by_Mike_Quinsey.htm . (2) Matthew’s Message, Aug. 13, 2010, at http://www.matthewbooks.com/mattsmessage.htm. (3) Ibid., Sept. 11, 2010. (4) Ibid., Oct. 22, 2008. (5) SaLuSa, Dec. 5, 2008. (6) Lauren Gorgo, “Arrival of the Universal Timekeepers,” March 14, 2010, at http://galactic-times.blogspot.com/2010/03/gatekeepers-arrive.html. (7) Matthew’s Message, Aug. 13, 2010. (8) Ibid., Aug 3, 2014. 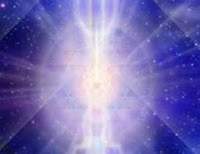 (9) “The Arcturians and Symptoms of Transformation,” channeled by Suzanne Lie, February 26, 2013, at http://suzanneliephd.blogspot.co.uk/. (10) Matthew’s Message, Feb. 7, 2009. (11) Ibid., Dec. 21, 2008. (12) Ibid., August 15, 2013. (13) “Archangel Gabriel: The Waves of Awakening Light and Your Emergence from the Chrysalis”, channelled by Shanta Gabriel, at http://thegabrielmessages.com. (14) Matthew’s Message, August 15, 2013. (15) “Melchizedek: We Bow to You, our Beloved Human Angels,” channeled by Marlene Swetlishoff/Tsu-tana, May 1, 2012, at http://www.therainbowscribe.com/melchizedek2012.htm.